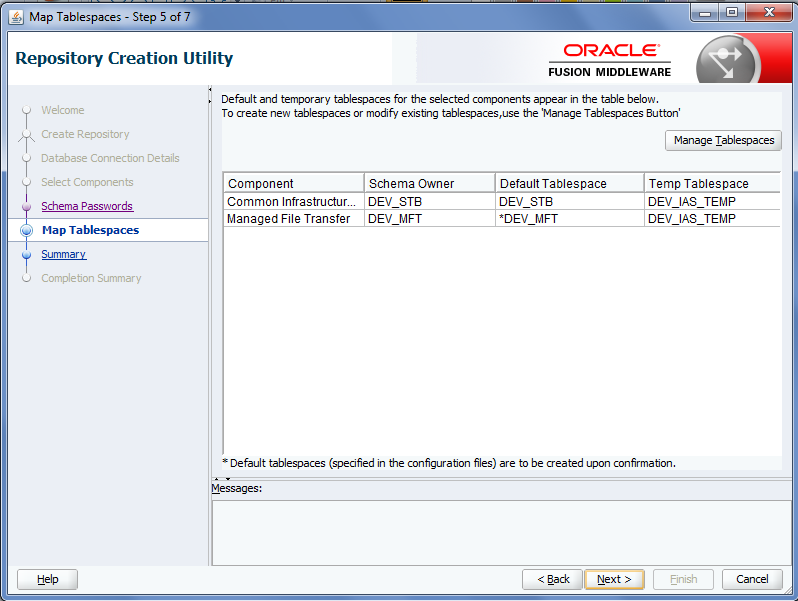 This is Chapter-2 of MFT Installation Guide. You need to complete Chapter-1 before you start with this post. 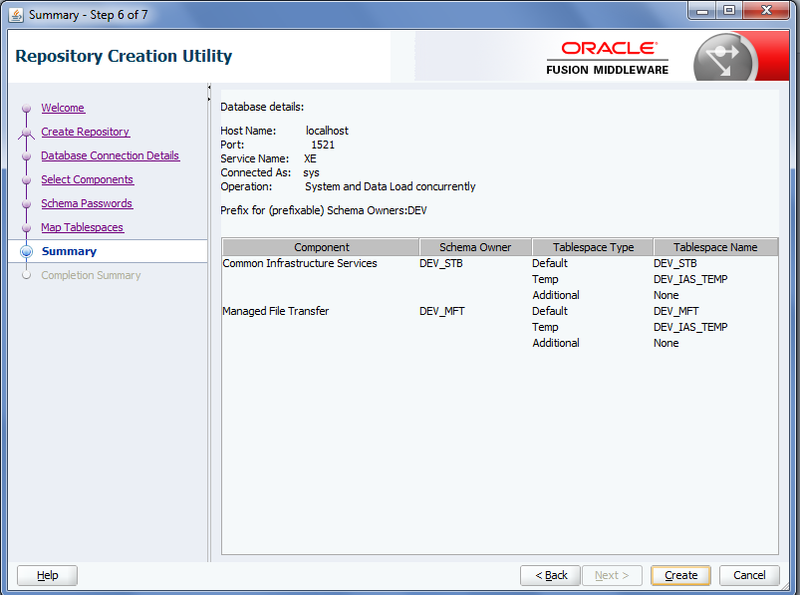 In this post, we see how to create required schemas for Managed File Transfer. 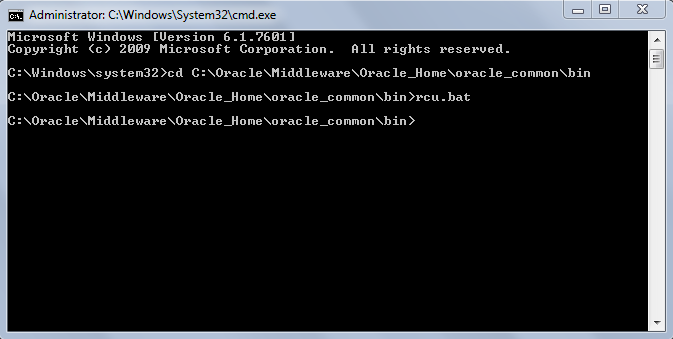 This will launch the RCU wizard. 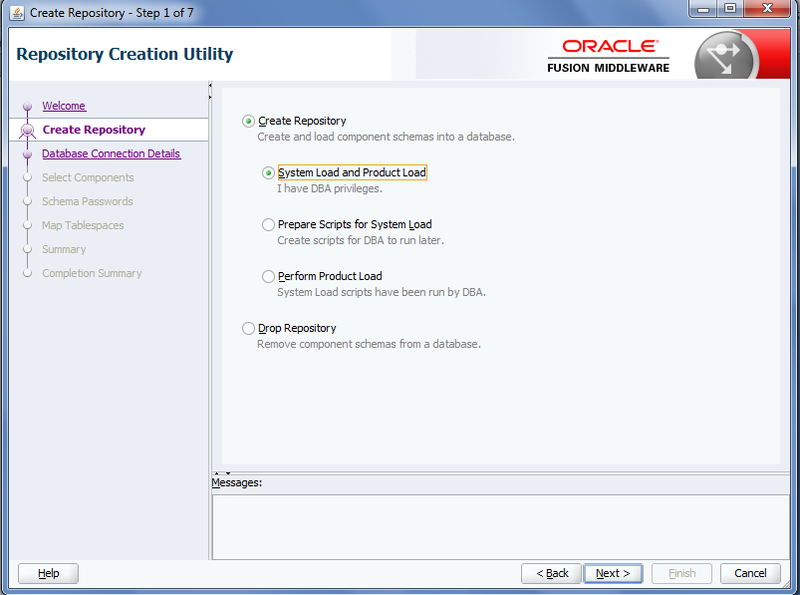 Choose "System Load and Product Load" if you DB privileges. 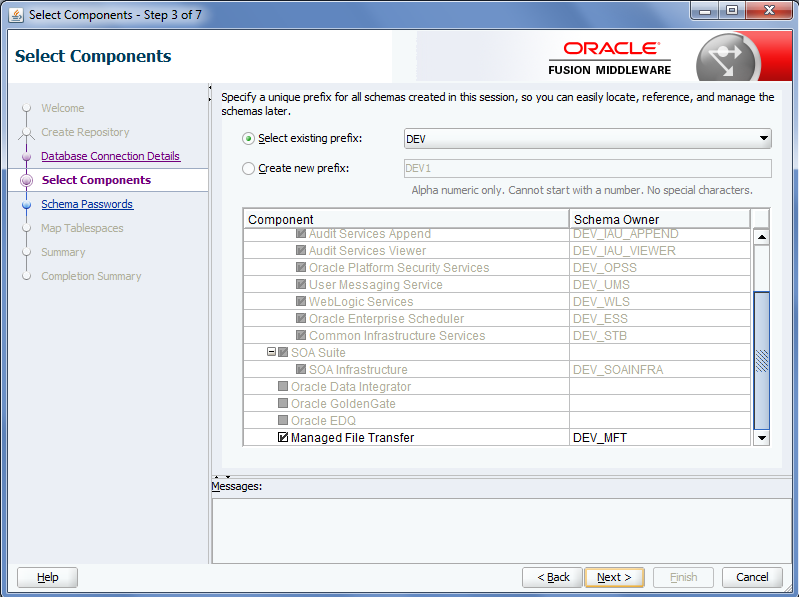 Select existing prefix and select Managed File Transfer schema. 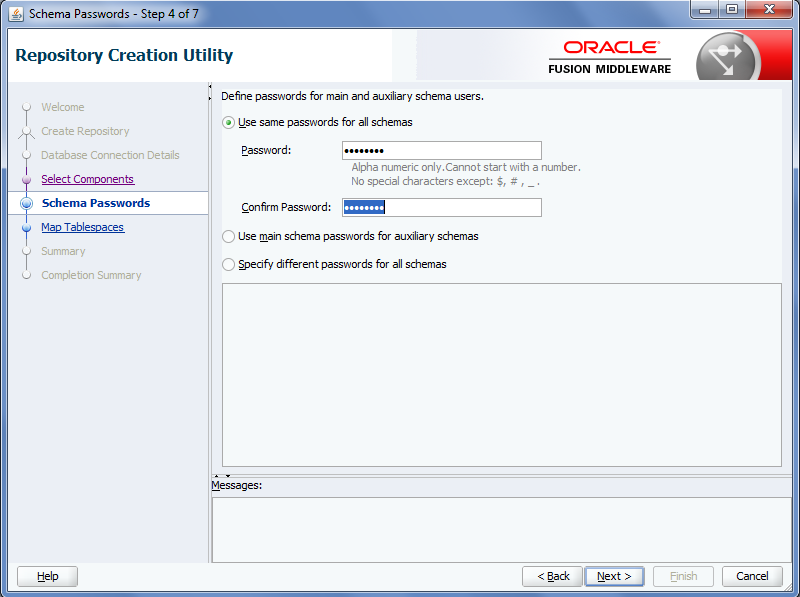 Choose Use same password for all schemas and provide the password. RCU will create required tablespace. 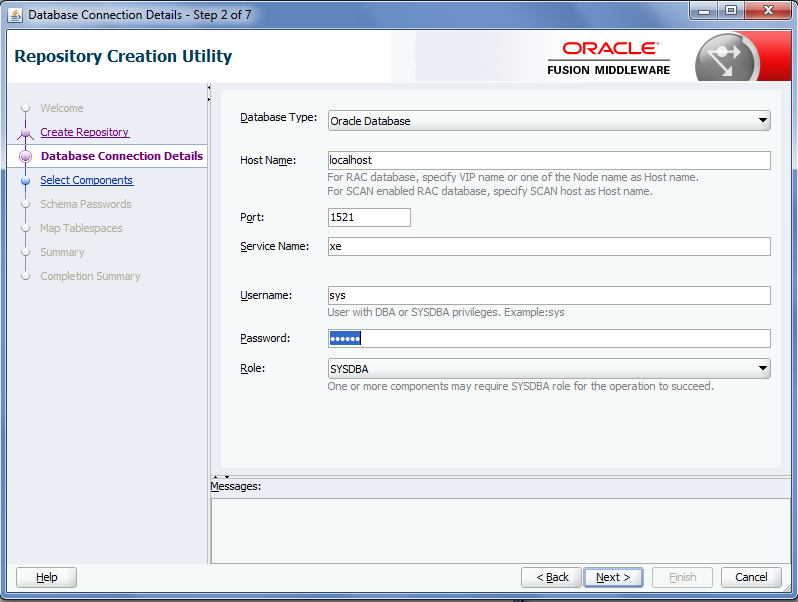 Click on create to create the required schema. 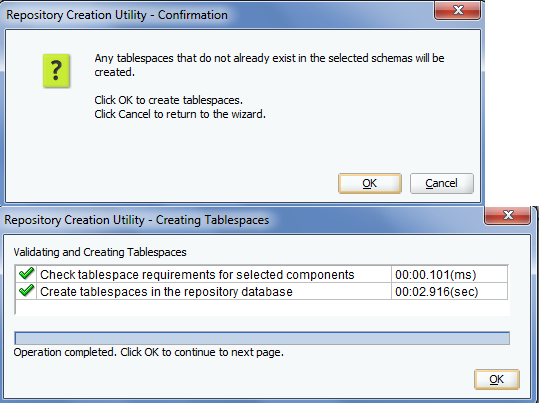 Once done, this creates required MFT schema.